What could be better than ordering food from the comfort of your own home every time you don't want to spend time in the kitchen? With the incredible selection of Indian ethnic dishes available at Petoo, you get the best food in town delivered to you within minutes. All you need to do is select your preferred dishes, enter your location, enter Petoo coupons if you have some, sit back, relax and wait for the Petoo driver to deliver your box at your doorstep. Extra 20% off when you make a purchase of Rs 1000 and more by using the coupon code. Order a value of Rs 450 and more to save 15% on all your orders.Apply coupon code at the time of checkout. Make a cart value of Rs 250 and more to get a dicount of 10% by applying the promo code. Shop any Petoo Box and kala jamun to get a discount of Rs 75 on your order.No minimum cart value required. 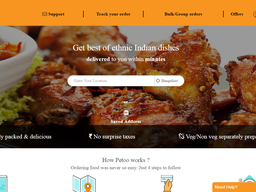 Petoo is all about excellent Indian food that is made accessible and conveniently packed in neat boxes so it can be right there with you every time you are hungry. Moreover, the company mixes delicious food with innovative technology to create the ultimate eating experience. Their mouth-watering food is delivered extremely efficiently by employing abilities such as predicting orders and controlling inventory. With a Petoo coupon code, you can get even better value for your money when ordering your lunch or dinner. How to Get a Petoo Coupon Code? Getting a Petoo promo code is very easy and the company often offers their coupons right on the first page of the website. This means that you can get extra value for your money with every order. Alternatively, you could follow Petoo on Facebook and Twitter in order to get your hands on the latest deals and promotions they make available to their followers. Examples of Petoo offers that are often available include Flat Rs. 400 Off on First Order of Rs. 500 and free delivery coupons for selected locations. Most Petoo coupons are available for use both with online orders and or orders made on the extremely convenient app that you can download on your smart phone to get your food in no time with just a couple of taps. Petoo has a list of offers available on the website every day – you can find them under the “Offers” section on top of the homepage of the website. These include 15% off minimum Rs. 450 orders, 10% off minimum Rs. 250 orders, buy two Petoo boxes, get one free, or order any Petoo box and get 1 Kala Jamun for free. They ofcourse change on the regular basis, subject the website every time you place an order to see what options are available then. 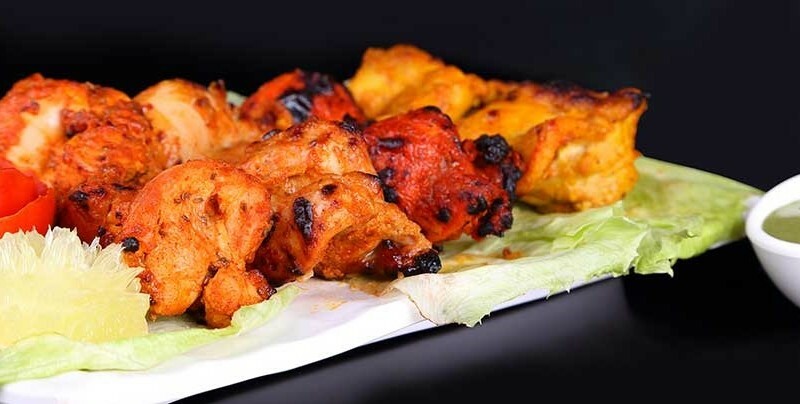 The main reason to order food with Petoo is that you get a delightful experience every time you place an order, simply because the staff of the company get inspiration from the incredibly varied Indian cuisine. To place an order, simply enter your address to view the menu available in your area, and then browse to the selection of items available on the menu. Select the items you would like to add your orders and place them into the virtual basket. To make an enquiry about bulk or party orders, select your occasion, number of persons, guided by person, date time and location and the friendly staff will help you get everything you need for a memorable party. The main advantages of using Petoo boxes for office or family parties include the great quality of food and the fact that all boxes are easy to dispose of and no utensils are required to enjoy the food. Petoo offers are very often available for those who decide to place a bulk order. When you place an order with Petoo, you can make the payment online or choose to pay the driver on delivery in cash. All payments are secure, whether you are using a computer or the Android app on your smartphone to place an order. If you are placing on order through the Petoo website, you can simply select your location in order to view the menu available in your area. Keep in mind that Petoo does not deliver to all locations in India, and delivery charges may vary according to your location. All orders generally take less than 30 minutes to arrive, but delivery times may vary according to your location. Call and ask for estimated times before placing an order if you need it quickly. What Kinds of Food Does Petoo Offer? From Indian staples to fusion cuisine options, you can select from a wide variety of foods to tempt your pallet. GulabJamun, soft koftassuffed with khoya, stuffed matarpoori, paneer, chicken tikka and Lahsooni kebab are just some of the options available to order on the website. Most meals are available as menus that you can share with friends and family, but you can also opt for smaller individual boxes if you choose to dine alone. Petoo coupons are regularly available for both occassions. Petoo uses the best spices and sugar to create their food, so you will get an authentic taste without having to cook yourself.